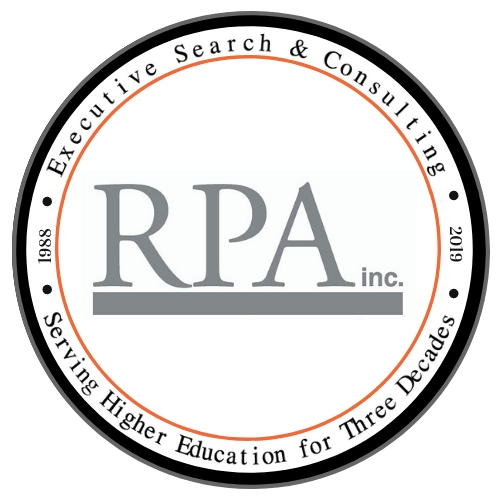 Presidential Search – RPA Inc. In choosing a new president or chief executive officer, you are making history. RPA Inc. is uniquely qualified to help you identify, cultivate, and hire your next exceptional leader. We involve your entire constituency in the search process. We research your organization, talk to the key individuals who will interact with your new leader, and consult with you to identify the characteristics of your ideal candidate. We hold on-campus “listening sessions” to elicit the input of students, staff, faculty, parents and alumni, trustees, donors, and others who care about your institution. Then we activate a search and recruitment process unequalled in the executive search field. We provide an exceptionally qualified team of senior consultants that include experienced presidents, vice presidents, and senior administrators from throughout the higher education community who bring unparalleled insight into the search process. We assist your search committee at every step of the process, assuring that they have both the information and the procedures they need to make fully informed recommendations. Our extensive database of professionals provides access to the premier leaders in the higher education, nonprofit, and for-profit communities. Our team of trained recruitment specialists makes hundreds of direct, personal contacts to identify candidates and build relationships for your institution. Our aggressive search schedule ensures that you move from initiating search efforts to on-site interviews in a judicious but efficient process that usually takes 16 weeks or less. Because we move expeditiously, you seldom lose good candidates to competing opportunities and your search committee remains interested and enthusiastic. Selecting a new leader may be the most important task you undertake for your institution. RPA Inc. can give you the choices you need for the outcome you want.